SUVs are the latest trend of the current generation and the market is flooded with these types of products. We have already seen jacked up hatchbacks, which pretend to be crossovers. But Volvo took a different route when it introduced S60 Cross Country – basically a sedan with high ground clearance along with some cosmetic changes to make it look rugged. But this segment has not yet caught on with the minds of average customers and Renault is another manufacturer to try this with Logan Stepway earlier this year. Now, Ford has also joined this niche segment with Ka Urban Warrior even though the company calls this as just a concept. Its global debut took place at Sao Paulo Motor Show 2018. 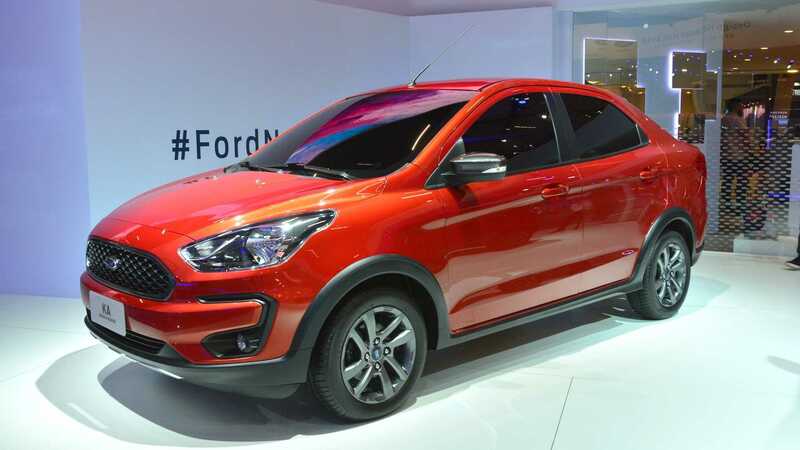 Ford Ka Urban Warrior is basically the sedan version of Ka freestyle hatchback. The Concept model gets new front and rear bumper along with black plastic cladding running across the body for a crossover look. The company has given 15-inch alloy wheels with wider tyres and the design is also different from the regular model. The Ka Urban Warrior Concept comes with faux skid plate at front and rear with a black finish for the exterior mirror. We can also expect the production model to offered in different exterior colours. The interior retains the same design but the company has given an all-black theme to make it look sporty. The compact sedan gets leather upholstery along with 6.5-inch touchscreen infotainment system with SYNC 3 software and connectivity options to include Apple CarPlay and Android Auto. The concept model is powered by a 1.5 L petrol engine with 136 hp and 5-speed manual gearbox, but the production model comes with a 6-speed auto also. The American manufacturers showcased the model at the expo to get feedback from potential customers and if everything is positive then it will get the green signal for production. 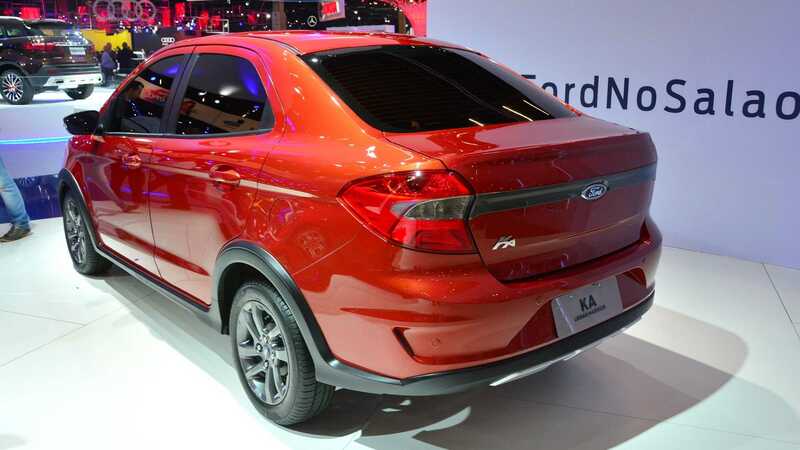 Depending on the success of this variant in Brazil, Ford might bring this model to India.